Find The Sum is a fantastically fun and simple little puzzle. 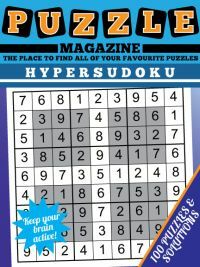 Each puzzle consists of a box that contains a random selection of numbers. 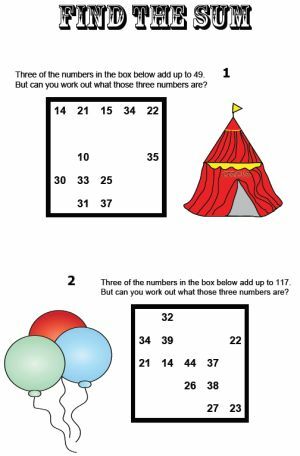 A set of three of those numbers adds up to a stated number - you have to work out which ones add up to the total! 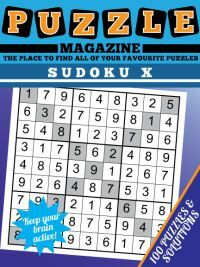 Find The Sum is a fun way of getting good at and practising sums, and getting a feel for which combinations of numbers add up to certain totals and spotting ways at getting quicker at doing sums. 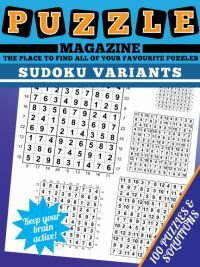 For instance, these puzzles will teach you the importance of looking at the final digits in a sum when working out the total and what they might add to, and that you don't always need to work out the entire sum to help work out the answer. Therefore if you are trying to find out if 46, 52 and 79 add up to 156 then you can as a first step just add up the last digits - 9, 2 and 6 and see if those add up to '6', which is the final digit of 156: since they actually add up to 17, then it is clearly the case that 46, 52 and 79 do not add up to 156 and so you can move onto trying the next combination of numbers much more quickly than having tried to perform the whole sum. 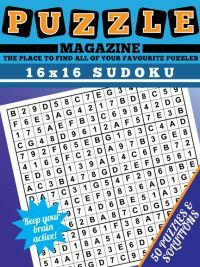 The Find The Sum Magazine contains 100 of these find the sum puzzles for you to tackle, with full solutions at the back so you can check your answer or if you get stuck find out what the answer is. 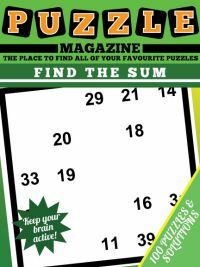 Once you've completed all the sums in this magazine, you'll be a whizz at addition! 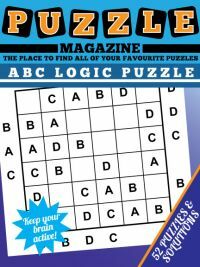 Once you've completed this magazine, why not move onto the other educational puzzle magazines in this section that will test your ability to perform other types of sum such as subtraction, division and multiplication too?